1: which is the truth ? 2: does chaining 2/3/4 fans together have any affect on fan speed overall ? compared to spec ? 3: do they behave differently when connected to a pwm or on a 4 pin fan header on a motherboard that uses volt modification rather than pwm to control fan speed ? agreed you cant turn a bad laser into a good one, but the thing that is wrong with this video, is the propaganda you promote of taking an object breaking it & throwing into a bin, some people perceive that “bins” are the only places in the world than can make matter disappear ? whereas whatever you thrown into a bin has to pollute somewhere, truth is if you recycled it fair enough, don’t encourage anyone to throw stuff away encourage them to sell to a person who would get some use from it OR recycle it, what you toss into a bin today may well end up in the ocean for the next 200 years, what is archaeology than the study of litter ? and plastic is the worst don’t encourage people to throw away plastic ! sorry to green meanie but you get the idea. all microwave meals must be supplied in paper and wax or alu foil containers which are then transferred into a ceramic dish to microwave eat from. ddr1 ddr2 ddr3 sodimm electrically compatible ? Obviously the physical location of the notch makes the different sodimms or their dimm variants for that matter physically not installable in the same machines, my question are they electrically compatible ? anyone ever tried changing the notch location and seeing whether they work ? or are the number if pins either side of the notch location always a different number as ddr1 and ddr2 sodimms look like its the same number of pins either side of the notch just that the notch is offset ? especially as ddr1 sodimms handle upto 1GB and I have some 512 ddr2 sodimms that might go in the laptop physically if it were not for the notch issue. top 10 unanswered questions : there is nothing unanswered about them I thought we’d all conquered these or was it just me ? 1. What is the meaning of life ? Firstly there isn’t an individual and overriding meaning to life, except perhaps Secondarily to understand that loving or attempting to love other people as a human being, is a worthwhile activity whilst living, rather than living alone or not believing in other people, as living alone isn’t what life as a human being is for, some people unfortunately do spend there life alone and does not mean we should pity or chastise them, as they can also make great contributions, but that there life might have been richer for them if they had shared it. Thirdly we should balance the comprehension of this shared existence endeavour, with an equal measure of attempting to enhance and advance the understanding and definition of humanitys answer to the very question that caused these answers in the first place, ie one of lifes purposes is to endeavour to discover its meaning. Fourthly whilst operating the last three points we should attempt to comprehend were meant to try and enjoy the first three endeavours whilst were at it, and finally and Fifthly fear nothing life throws at us, both success and failure are two sides of the same coin, and the foundation of someone elses success is supported, quantified, measured and thereby dependently exists only with reference to someone elses failure , and again failure is at its least a meritable sign of trying, that is all comprehensibly washed away by Sixthly simultaneously holding the thought that nothing really matters in the end. 2. Is there a God ? No there is not a GOD in any traditional religious sense, all known knowledge points to god if existent in any form, being incomprehensible from a human perspective. It would be a wonder to imagine that if there were such a thing as god, that it could make itself understood to us, in our present state of existence. So if you were to comprehend god, it would probably not be as yourself currently, therefore if one cannot comprehend god in ones current state of being from the perspective of this human existence, then god for us in this reality, or even as ourselves in another reality does not comprehendably exist, in a way that we can point to with personal comprehension. Further more to this point this personality and collection thoughts we call ourselves, from which our mental perspective appears to eminate from, is not something we brought in with us as a finished fixed item to our current existence, it is something that has taken a lifetime to cultivate and grow which we now feel attached too in age, and has evolved been created in and belongs to our current existence ? and as such if we move through death to another state of existence why should we expect this mental bundle weve cultivated for the use of being here ? to come with us ? we didn’t arrive with it ? lets say for arguments sake we did take it with us, would you expect the next phase of existence to be some alternate “looking in” type existence with your current aged tired human mentality overshadowing this new phase of existence ? because the mentality you have cultivated has been evolved for this reality and as such might probably only be usefull afterwards if it was used to “look in” to the reality it came from ? I personally am not sure by the end of my life how many more years my mentality could evolve for, without serious distortion , unless there was some magic modifications done to rejuvinate only the parts that could be altered without changing it from being me ? therefore it is unlikely in an alternate existence we would be ourselves as we know ourselves. To some extent I guess this is where some say the faith aspect comes in, but i see no reason, for an entity such as that which is provably the cause of this existence and ourselves, to require any demonstrations of faith from human beings in anyway. As it has laid all the evidence before us we could possibly need, and as such faith is of no consequence either way, for we cannot step outside of the existence which is possibly the best evidence of this god something, therefore if we are in or are part of the only humanly possibly perceivable part of god, we need not have faith as we can clearly see by what is here, that whatever it maybe, it is to our best comprehension existent, thereby if it is existent, it requires no faith with which to believe in it ? Perhaps upon death there is some subtle shift to our being that makes other meta views as yet unseen possible but I still doubt we would see this as ourselves, for the existence/god dilemna does prove one fact, existence in its most reduced model often leads to a proof of something beyond the scientific, for ‘nothing existing’ would be the logical and obvious state, and this not being the case, certainly implies something is here, and that which is, did not assume the form of this easiest state(I myself find the true comprehension of that easiest state nothing : the most terrifying thing) this being the case means that at the core of existence , the tools of human logic will not serve us to understand the sum of everything, therefore as there will always remain, and in my opinion thankfully so, an unconquerable indivisible stubborn element we will never comprehend, this element in its humorous sense maybe thought of as the emotional magic some may call god, and I find it nice to think that we in some way, are directly connected to that magic indivisible thing. erm who cares ? I was a blonde child when young and I had some fun, but im sure some kids of other hair colour had as much fun if not more than me. answer : no. 4. What is the best diet ? a balanced one that sustains and enhances your health ? well thats the german sense of it, but into that mix can be placed the pleasures of taste, such that it is balanced more than just nutritionally, as eating well has yet to be proven to sustain your life indefinately, as such it is futile to eat purely from a health perspective, as part of the eating experience, stems from what pleasure maybe gained from it as an experience, and it is finding this balance between health and pleasure to play out over your whole life and tongue, that makes it a “balanced diet”. In the psychological sense, yes see the answer to question one, sometimes we may feel that no true contact can be made between human beings and that we, though ignorant of it are somehow actually alone, but in reality you can give other people more meaning to their own existence when you interact with them. and if you affect them that means they must be there. if this question is an allusion to other life outside of this earth, the scale of existence itself probably puts this at an equal probability of your own existence, and since you exist … the answer to this is yes, the problem with this answer is that although it is yes, this other life maybe at such a distance that the current interpretation of physics can find no safe human way/sensible method of meeting up, and even if we did it might be to meet a planet of plants or electrical entity’s, but thats what makes planning such a trip fun, the endless are we they’re yet ? for 19 millenia (see this article), only to be followed probably by not much amusement when we get there to shake hands either with an algae or our own humanity itself already setup nicely, since during our journey a series of increasingly advanced craft overtook each other to arrive at the destination before us and ruined the place before we got there ? though admittedly there is the chance for an exotic encounter beyond imagining, which makes it worth the pursuit. 6. Who is the most famous person in the world ? 7. What is love ? Its a true, but often temporarily and rarely found belief that hope and security and home for the psyche/soul validly rests in other people and maybe trustfully placed in they’re care reciprocally, rather than just oneself, and discovering through bidirectional evidential feedback that this can be true, is what may pass for love. This may obviously be accompanied with intense emotional feelings, as we rarely experience something so needed and so valid, letting these emotions overwhelm the psyche may prove detrimental to the love, some amplify their feelings and use them up and unconsciously seek its failure through too much testing, but a low calm emberous burn lasts the longest, and love can fill a life if it is played with balance and tunefully. 8. What is the secret to happiness ? Seeing children grow from 2- 6 … the answers to questions are generally a presumption or an opinion. 9. Did Tony Soprano die ? This a disgusting question, to be resident on this list. But evidence if any were needed of how cultures humour has degraded to a very low ebb, and that criminality is perceived as some form of suitable entertainment for the bored masses, who need to grow some more and spend their time fruitfully, it is one thing to waste ones own time, it is another thing to turn that waste of time into a pointless question for others to waste even more of human existence upon, not that the entity resolved from question 2 cares if we waste our time with such questions ? but we as humans should be listening to our higher human nature, which more importantly cares if we do, unless we too greatly and lazily comprehend the sixth point in question 1. 10. How long will I live ? Now that we solved these 10, I suggest you get back to concentrating on doing something to enhance life in the present. First of all sarah, good luck with your project its a big question and bound to raise a cascading set of issues if examined right : and as long as its not some form of council sponsored propaganda, paid for to make us all happier with the reality of multicultural urban london, ie the bad here should really be on equal footing with the good, to be honest I think probably only the english find finsbury park troubling, as the arrivals past or present probably have no idea or a false perception of how english community could/should be, and are probably reasonably happy with finsbury park as they find it, as often they stick to their own “communitys” which is what works for them. Few truly work at integration and make the multicultural “community” work its shady definition. Re community in finsbury park ? I’m thinking Samuel Beckett here, not an smily token ethnicity engineered youth project, though in Finsbury Park it probably wouldn’t representatively be so token. this guide by miahallen at the fantastic techreactions forums, is the clearest and most logical sounding OC’ing guide ive found on the web. Anybody else know anything fruitfull about this fing modem ! bloody netgear have on gone and changed the flaming chipset on this model as I understand it, yet kept the name in line with dg834g model line, so it now uses a completely different chipset from the once trusty dg834g ? which as far as im concerned is a sacrilige, if your changing to an incompatible chipset then the least you can do is change model to a completely different schema so that no-one and i mean no-one is confused about whether its firmware upgradeable to an open firmware or other firmware in the DG834 line. Could the firmware be flashed to something usefull say by dgteam. The ISP’s and netgear are going to create a hell of allot of landfill between them with these locked routers their producing, its just like the mobile phone industry now, trying to padlock their customers in, half the time they charge for these routers up front anyway ?! so what is the point of locking them, or they charge over a year to recoup the cost if they give them away free, and the user switches isp perhaps every 2 years ? so why oh why are they locking them, its because corporate vehicles are often psychopaths ! ie they dont have any moral care for the environment. we should intitiate a law that all ADSL modems sold in this country must not be locked to isp’s, after all adsl is an international agreed standard and should not be getting locked up like this. 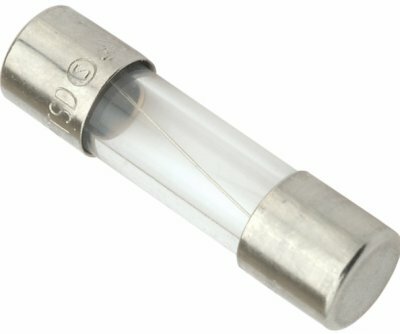 why do people manufacture fuses where one cant visibly tell if their blown ? 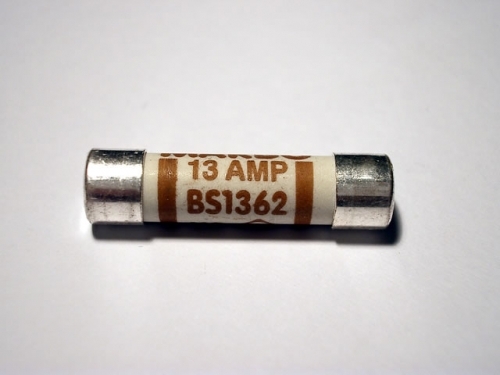 why do people manufacture ceramic fuses where one cant visibly tell if their blown ? glass fuses are so much better in this respect in the sense there is not doubt, as to whether the fuse is blown ? we should ban fuses where it is not visually determinable whether they have blown or not, as if you multiply the amount of time that is wasted determining whether a ceramic fuse is blown and multiplying by the number of people who dont have multimeters, thats allot of humanitys time wasted ? Is it only me whos detests the endless racket made by some congregation of very atonal bad african singers ? singing “hes got the whole world in has hands” and other such tripe for four hours or so every weekend ? I swear they must have theyre windows open and be amplified ? on this the day of rest, theyre ruining everyone elses rest by making a racket. british churches never made this much horrible noise its not in our tradition, and proves they have no respect for british culture. And how would they know better after all I doubt theres a single native british person in their congregation, to inform them there behaviour might be affecting and upsetting other people in the community ? They certainly have bad drumming going on and on and it drives me mad every weekend.